“Get away from here before you’re completely bewitched and enslaved…” Dorothy Carrington (1910 – 2002) was told. But enslaved she was. She arrived in Corsica in 1948 as an English historian. She stayed. She was very interested in Corsican society and Corsican culture. In 1991 she was awarded a doctorat honoris causa by the University of Corse. She lived and worked in Ajaccio. Below is a list of her award winning books and achievements. I particularly relied on Granite Island, A Portrait of Corsica and The Dream-Hunters of Corsica for background for MOTHER TONGUE. 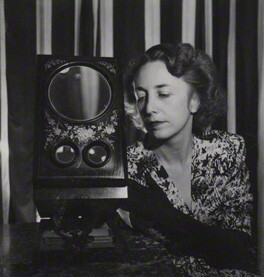 In the novel the character of Professor Sylvia Nicoli was largely based on Dorothy Carrington. 1995: The Dream-Hunters of Corsica; French Edition: Mazzeri, Finzioni, Signadori 2000. For an excellent online resource on Dorothy Carrington’s work, especially her explorations of the occult, including the mazzeri and the signadori, go to for website for i muvrini, the world famous musical group promoting tranditional Corsican polyphony and click on The Dream-hunters and other legends and studies by Dorothy Carrington. Is there yet or about to be an Eng.-language book specifically on Corsican prehistory/archaeology & not as part of a more general volume?